OU Weekend, Classic Game Day Wear, Drag. I spotted this girl's outfit from afar, so I didn't get a chance to take a formal photograph of her. 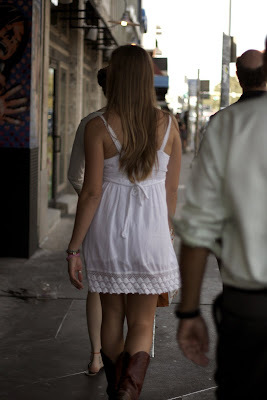 However, I love her simple white dress and cowboy boots. This ensemble is perfect for a day of Texas sun and football.